Sorry for the lateness, though I do have an excuse, I had MCAS (Massachusetts Child Abuse System, well that's what the kids call it) and it turned my brain to mush. Also, right now I'm working on a project in history and we have to make a board game. So, with out further ado, here's the actual post! City of Bones by Cassandra Clare is an extremely good book. 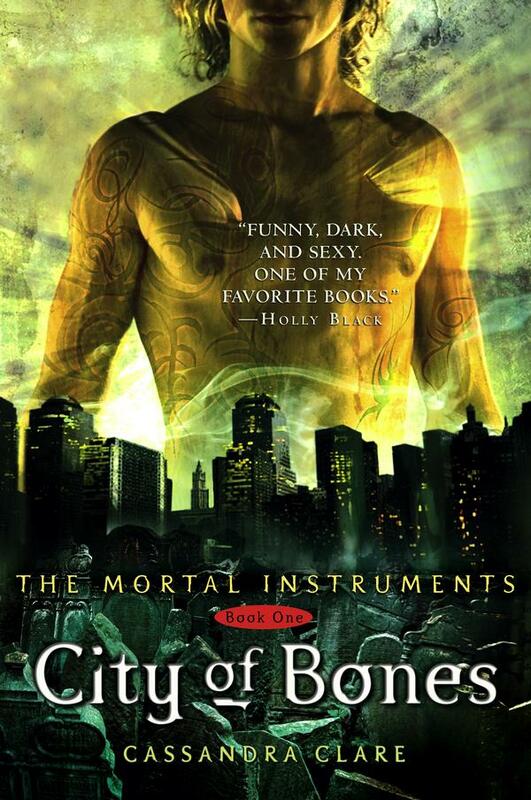 It is about a teenager named Clary Fray, who lives with her mom and Uncle-Who's-Not-Really-an-Uncle Luke. Clary and her friend Simon go to an "all ages allowed club", Clary notices a group of three teens that seem to stick out from the crowd. In all the movies when the main character is faced with a situation like that they do the least logical thing, follow them, so that's exactly what Clary does. When she follows them into an "Employees Only" room and sees the murder a child, only then did she step out of the shadows and say something. When she threatened to call the police the main teen, and handsome young boy named Jace, comes out and makes the point that the body disappeared, Clary backs down and goes out to tell Simon what happened. Only, Simon says he couldn't see them at all. My favorite character is probably Magnus Bane, a warlock that comes to Clary and Jace's more than once. He seems to be more concerned with his hair though, than helping anyone else. As you progress into the series you notice him becoming a more important character, than in the begining of the series where he seems to be the "comic relief" character. Though in later books he serves a legitimate purpose. I found this book very interesting, and I hope you do, too!